Glushinskite: Mineral information, data and localities. Named in honor of Peter Ivanovich Glushinskii (Петра Ивановича Глушинского) (1908–1990), coal geologist, Institute of Arctic and Antarctic Geology, St. Petersburg, Russia. Both alpha and beta forms are known as synthetic compounds. Glushinskite is identical to the beta form. The unnamed alpha form has been reported from the Lake Huleh basin, Jordan Rift Valley, Israel (Cowgill, 1989). 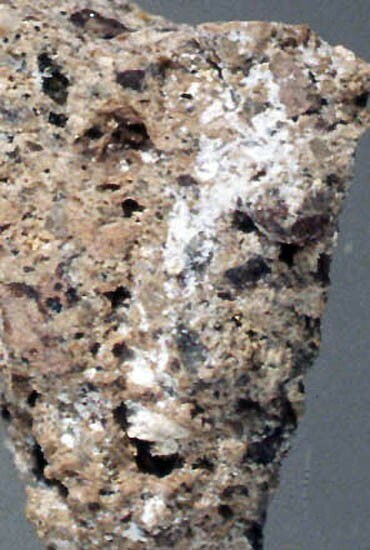 Common biomineral formed at lichen Lecanora atra - serpentinite interface (vide Burford et al., 2003). Gypsum 1 photo of Glushinskite associated with Gypsum on mindat.org. Walter-Levy, L., Perrotey, J., Visser, J.W. (1971) Crystal systems of magnesium oxalates and chlorooxalates. Bulletin de la Société Chimique de France: 1971: 757-761 (in French). Wilson, M.J., Jones, D., Russell, J.D. 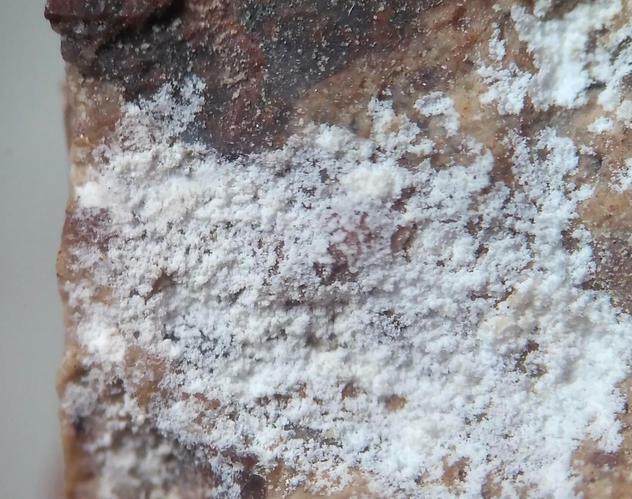 (1980) Glushinkite, a naturally occurring magnesium oxalate. Mineralogical Magazine: 43: 837-840. Fleischer, Michael and Pabst, Adolf (1981) New mineral names. American Mineralogist: 66: 436-439. Wilson, M.J., Bayliss, P. (1987) Mineral nomenclature: glushinskite. Mineralogical Magazine: 51: 327. Cowgill, U.M. (1989) A naturally occurring alpha magnesium oxalate dihydrate from northern Jordan Valley (Israel). Mineralogical Magazine: 53: 505–507. Wilson, M.J., Jones, D., Russell, J.D. (1980) Glushinskite, a naturally occurring magnesium oxalate. Mineralogical Magazine, vol. 43, n° 331, p. 837-840.; Livingstone, A. and Macpherson, H.G. (1983) Fifth supplementary list of British minerals (Scottish). Mineralogical Magazine, vol. 47, n° 342, p. 99-105. Garvie, L. A. (2003). Decay-induced biomineralization of the saguaro cactus (Carnegiea gigantea). American Mineralogist, 88(11-12), 1879-1888. Grant, Raymond W., Bideaux, R.A., and Williams, S.A. (2006) Minerals Added to the Arizona List 1995-2005: 4; Garvie, L.A.J. (2003) Decay-induced biomineralization of the saguaro cactus (Carnegiea gigantean). American Mineralogist: 88: 1879-1888.